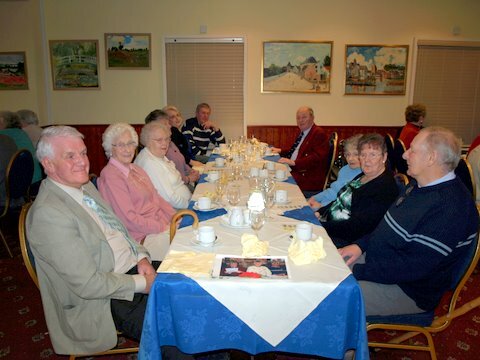 The Club has been successful over many years in relation to raising funds for our activities. This has resulted from a combination of having really keen fundraisers within the Club working consistently hard to support us and being blessed by living in a town where people and organisations, within Abergele and the surrounding area, are so generous! Local GP, Dr McCormack helped us immensely when he ran 40 miles for us and raised a magnificent £2000 + toward the purchase of our new minibus. A Big Thank You to all who have supported our activities and continue to do so. Members share a meal together, all made possible by the partnership between members, volunteers and our generous donors.